All these fires are really smoking up Reno and Sparks. I took the first picture on a day that wasn't exactly a clear day but it was before the breeze brought more smoke into the area. 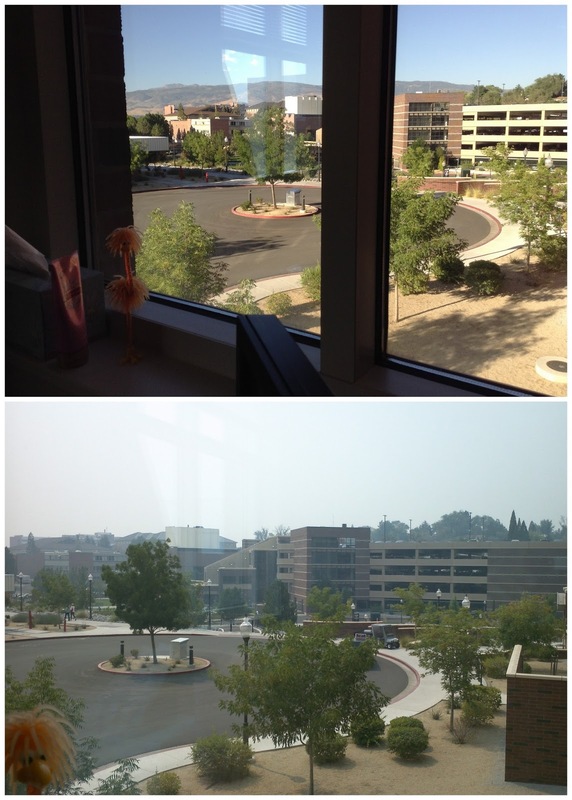 The second photo is from this afternoon and I don't even want to go outside to grab lunch, it is so bad. It is hard not to notice the haze outside because my throat is burning and the smoke makes me cough constantly. So much for going outside for fresh air! On the bright side, happy Friday and hope you have a great weekend!! Good thing the bike stuff isn't scheduled for this weekend. Hope it clears up soon, but the fire news doesn't make it sound like it will be quick.